Advent, it's a time of preparation. If you think back on the year, what’s the most important thing that happened to you this year? Or, what was the most important thing you did this year, and how did you prepare for it? There's a big difference between knowing about someone versus actually knowing them. 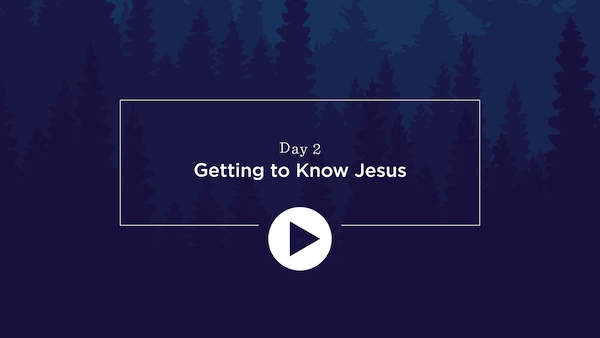 This Advent, we want to get to know Jesus, not just know about him. That's what Advent is about—preparing to meet him and to know him. Let's take a closer look at that . . .
“It changed my life!” Or, “This book, it was a game-changer for me!” We throw those phrases around a lot. But when Jesus comes, things don't remain the same. Think about that. Let's take a closer look at how Jesus is the ultimate game-changer. At Christmastime, we're preparing our hearts for Jesus, and it's important to think a little bit about our habits, isn't it? 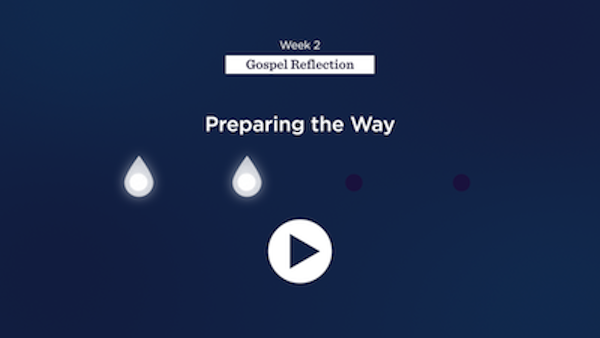 How exactly do we prepare, because preparation is needed in lots of aspects of our lives but especially in our habits—especially, maybe, in some of those habits that we often tend to overlook in our spiritual journey. Let's take a closer look at that. In week one of BEST ADVENT EVER, you and I have been focusing on how God comes close to us. And let's be honest, people experience God in lots of different ways as they prepare for Christmas. Abundance. In John 10, Jesus makes it clear that's why he came: to give you and me an abundant life. It's possible to have an abundance of stuff, but to still feel empty on the inside—and we miss the point. It's God's grace that provides the abundance for our souls. A total loss. Have you ever suffered a total loss in your life, or felt like your life was a total loss? I don't think God even knows the meaning of that phrase. In week one of BEST ADVENT EVER, we focused on how God comes close to us at Christmas. 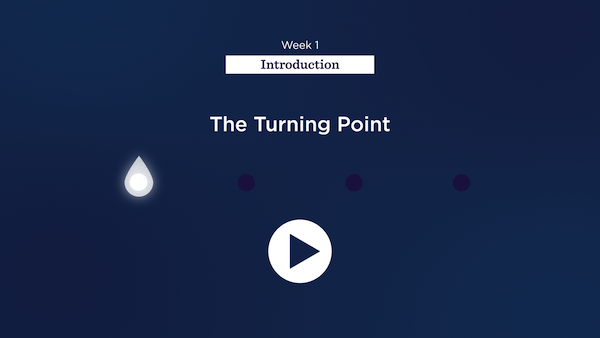 In this second week, we've focused on: How would your life change when you realize that God is nearby? Because that's what gives us hope. 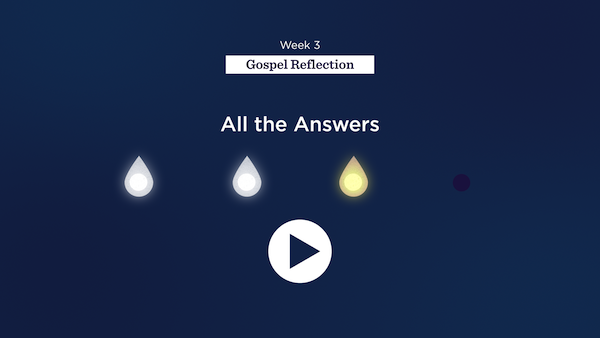 In the very beginning of the Gospel, John makes it plain: God made us for him and in him. That's who we are. We are his children. That's our identity. And it's really, really important in this world to know who you are. We walk by faith, not by sight. We walk by faith, not by sight. Those are powerful words, but they're no easy task, are they? It means that we don't always know what the next step is—and sometimes we can't even see what the next step is—and yet we step forward anyway. It doesn't take a big act to move closer toward God. We do it in the little things every single day. Think about St. Thérèse. She discovered the “little way” and became a Doctor of the Church, all because she realized we move a little closer toward God or a little further away from him a thousand times a day. What's next for you? What's the next step? It's important to have a plan. It doesn't have to be a big one or a complicated one, just the one step you plan to take next to build on the momentum you've been experiencing during Advent as we've moved our way toward Christmas. Jesus is coming to meet you personally. Today we hear the story of Mary setting out to visit Elizabeth. It's an amazing story. It's one of my favorite stories in the Scriptures. There’s this incredible humility. You remember that just before this, Mary has been told that she's going to be the mother of God.